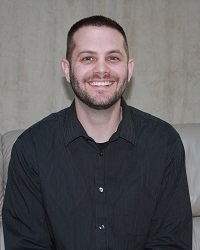 Dr. Patrick Griffiths earned the following academic degrees: B.A. in Missions (1981), the Master of Divinity (M. Div. 1987), the Master of Theology (Th. M. 1995) and the Doctorate of Ministry (D. Min. 2002). Pat and his wife Kirsten have been married for 35 plus years and have two adult children and six grandchildren. Apart from a significant collection of theological works numbering in the thousands, he also enjoys graphic novels inside the superhero theme. He believes the Christian life is the overflow of the believers union with Christ. He truly celebrates the church gathered as a Christ-exalting, Word-centered, Grace-based, Global-impacting family. He teaches and lives that the Christian life in its entirety is by grace alone through faith alone in Christ alone. 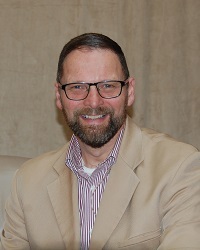 Pastor Giles Litzner serves as the administrative pastor overseeing all our various ministries. He received his undergraduate degree from Northland International University and then served in as both a youth pastor and a senior pastor before joining the staff of Waukesha Bible Church. He is married to Janel and together they have one child, Elijah.